Today’s guest post is by Lesley Arnold and Leslie Daniels, Oak Meadow K-8 Teachers- Enjoy! Life is full of transitions, and helping our children through them is one of the most challenging—and rewarding—aspects of parenthood. I have a wonderful memory of my 11-month-old daughter pulling herself up to a standing position. After weeks of trying and plopping down onto her diaper-padded bottom, she did it! She squealed with delight, I picked her up, and we danced around the room. What a transitional moment for her! She took to crawling up to everything in a room, then pulling herself up, and bouncing with pure happiness. I especially loved having her pull herself up onto my leg and hug it with a smile. I couldn’t resist picking her up and enveloping her in kisses. Next thing we knew she was starting to let go and balance in a wobbly stance. Practicing her balancing act before taking that first step lasted many weeks. We soon had a cautious, toddling walker holding our hands while she picked up her tiny feet. We purchased a little wagon she could push around the house, and she laughed as she pushed it into walls and then begged us to turn it around so she could go back down the hall again. These moments are so precious, and if we take a good look back at our child’s developmental stages, we see clearly how long each of these transitions took. (Those parents who say things like, “One day she just walked,” hadn’t really been paying attention to the skills mastered in order to achieve walking.) How many times did my daughter fall down while learning to walk? So many! But she didn’t give up. In her own time and in her own way, she “just walked” into the world. Each school year we observe so many changes in our children physically, emotionally, and mentally. The transition from grade to grade calls on us as parents to take a good look at what is being “practiced” to get to the next place. How can we help with these transitional stages and when do we foster independence in the process? Review last year. Taking a look at last year’s lessons helps to envision the progress made from beginning to end. It’s fun to review and note the exciting lessons, the challenging ones, and the favorite activities. 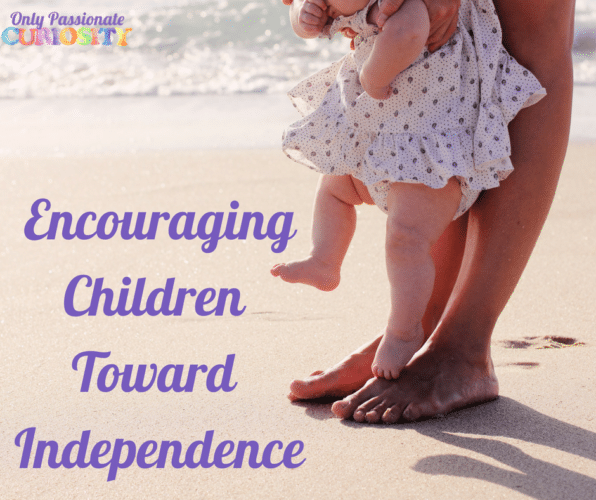 Where did your child show independence, and where was support most needed? Which materials do you need to support the new curriculum year? Go through the materials you used last year, clean out unused items, and make a list of supplies needed to prepare for the upcoming year. Gathering these items can be a fun activity as you get the new space ready! By fourth grade we begin to see more signs of independence, so create a workspace with your child that “shows off” this important growth step. A new desk, new pencils and pens, a ruler for math, and a fun way to store everything will help your child’s growing ability to organize their work and materials. Look ahead at the learning goals for the coming year. Looking at the goals for the next school year makes the transitions more visible. Many children have spent the first years learning to read, and by fourth grade they usually can read on their own. 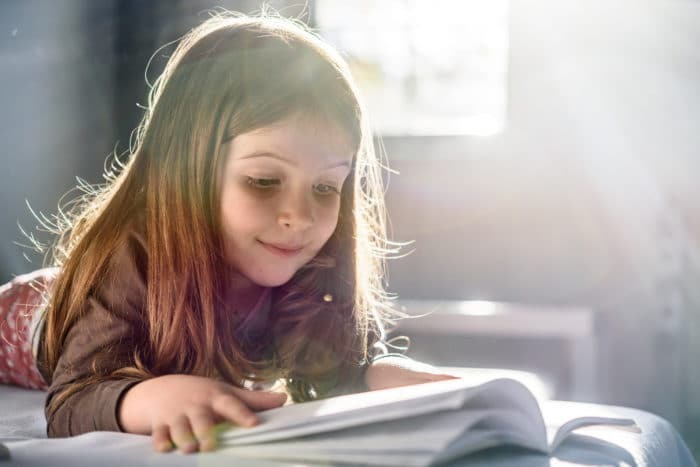 Sitting and reading a book for pleasure, comprehending the plot, enjoying the characters, and wanting to share what’s been read are all signs that you’ve got an independent reader. That reader may be ready to apply those skills to their learning rather than relying on you to teach everything. She or he may now be ready to understand the content of a social studies lesson or set up a science experiment as instructed in the text. Where can your child become more independent, and where will instruction and guidance still be needed? Model the steps. Reading the content of a lesson and drawing conclusions based on the reading is a huge step. 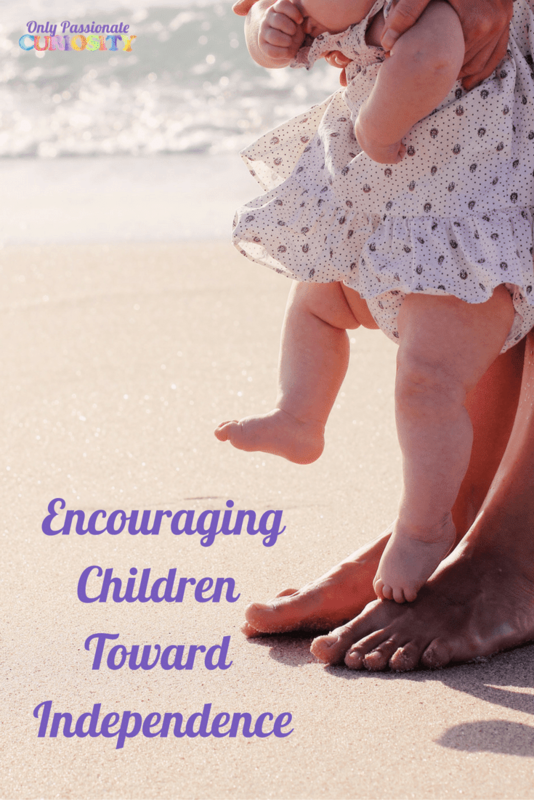 Take baby steps to get there, and provide guidance to model the kind of work you’d like your child to do. For instance, when writing a book report for the first time, a child needs a model of the steps and lots of practice completing each step. Write a simple report together the first time. Answering questions in a written essay or accurately reporting about a book may be hurdles to overcome, but in time these expectations will become easier if models are provided. Time management. Some fourth graders can begin to manage their own lessons. Set a timer to your help child develop these time management skills. Be realistic when setting the timing, and let your child choose the method. Looking at a calendar of the week or using a weekly planner to organize assignments can help students manage the time needed for all of their daily activities. Make a display space. Set up a shelf or display space for everyone in the family to admire, and let your child’s work shine! Displaying a certain page or project that was completed independently will encourage confidence and pride in the work. In the grades four to eight, students gradually become more and more capable of working independently. Our work as parents is to offer those little wagons (remember my toddler?) to lean on through the process. By observing your child’s gifts and achievements along with all the practice involved, you will find the right path to guiding and supporting your independent learner—because becoming an independent learner doesn’t “just happen” to a child. Being enthusiastic, believing in your child’s abilities, and having clear expectations during transitions go a long way to creating your independent learner. Visit Oak Meadow to see their fabulous child-centered curriculum- we’ve been using their program for years, and I can’t tell you enough about how wonderful it is! Stop by today and give it a close look!